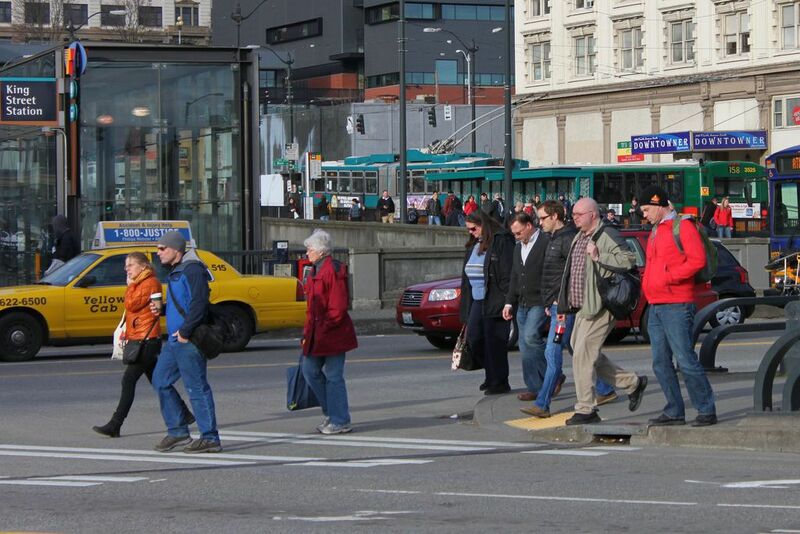 Seattle is one of the busiest and densest cities in the United States when it comes to motor vehicle traffic, which can also make it a very dangerous place for bicyclists and pedestrians. But a study recently conducted by researchers at Liberty Mutual Insurance – one of the largest car insurance companies in the nation – found that despite the hustle and bustle of the Seattle metropolitan area, the Emerald City is the safest city in America for pedestrians. It’s a surprising development in a sense because it seems as though pedestrian accidents are relatively common across the Seattle area. However, the Alliance For Biking & Walking in Washington D.C. ranked Seattle the second-safest city for bicyclists and pedestrians combined earlier in 2014, so perhaps there actually are some teeth to the Liberty Mutual study. According to Liberty Mutual, the next safest city for pedestrians is Boston, which actually came in first place in the Alliance For Biking & Walking report earlier this year. What is interesting about Boston is that drivers in Massachusetts are second-most likely to be involved in a car accident – people get into an accident every 4.4 years, on average – but have the highest survival rate of any state in the country. Washington D.C. shares similarities with Boston when it comes to collision rate and fatality rate for motorists, but was ranked third in Liberty Mutual’s study on pedestrian safety. Pedestrian accident data appear to be trending in the right direction; the number of fatal pedestrian accidents declined approximately 8.7 percent in the first half of 2013 compared with 2012. According to the Governors Highway Safety Association, this was the first time the number of pedestrian deaths had dropped in four years. This type of recognition comes as a double-edged sword in today’s world; the fact that the rest of the country sees Seattle at the forefront of the transportation revolution is significant as the city continues to build a safer and more inclusive transportation infrastructure. But fluxes in traffic stats can chance with environmental factors like weather or the economy.